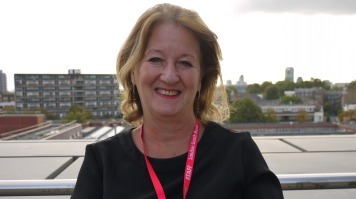 Jane Wills, Professor of Health Promotion at London South Bank University (LSBU), has won a health innovation award from the Health Innovation Network South London for a social marketing campaign aimed at healthcare workers. The Innovation Grant will now be used to develop and evaluate a new marketing campaign and video called ‘First impressions count’. The campaign message will be that the personal health behaviours of healthcare workers matter and impact on their health promotion practice as well as their presentation to the wider community. The message will be communicated through multiple media channels and be a visible part of St Georges, Epsom and St Helier Hospitals. It will also play a part in Croydon NHS Trust's recruitment and induction through branding on social media and the Trust's website. Previous research at LSBU has identified that certain unhealthy behaviours such as smoking or obesity are highly visible and detract from the credibility of health promotion conversations with patients. Additionally, these behaviours may make healthcare workers less willing to raise health promotion issues with patients. Professor Wills was amongst 10 recipients of Innovation grants at the Health Innovation Awards, which recognise innovation and educational excellence in a range of areas, including healthcare workforce development, patient safety and integrated care. The award ceremony was held at Guy’s Hospital in Southwark. “Healthcare workers are part of the general population and are subject to the same, if not greater, pressure in their personal and working lives that may make it difficult to adopt healthy lifestyles. However, our research has found that they do think that they should act as role models and this campaign wants to remind them of that,” said Professor Wills.